There’s a crispness in the air, which means that cool weather is right around the corner. There’s no better time to break out the soup pot when the weather is taking a turn for the cold. 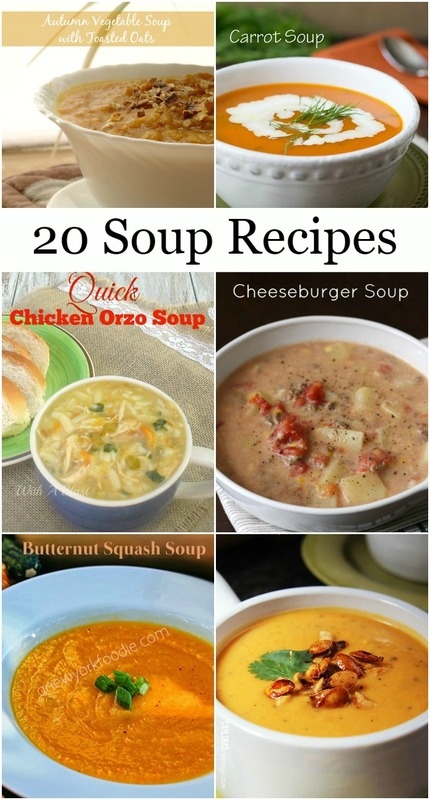 I’ve collected 20 Soup Recipes that scream nothing, but comfort and will have you sitting by the far wrapped up in a blanket with a delicious bowl of anyone of these recipes. Click NEXT to view the NEXT Soup Recipe in the collection. Thank you for including my Chicken Soup, Jenny !